Italian Trade Commission President Umberto Vattani cuts ribbon with Cosmit President Carlo Gugliemi and Federlegno-Arredo President Rosario Messina. 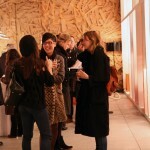 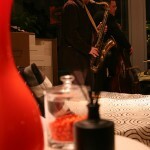 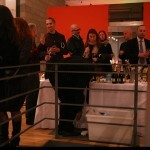 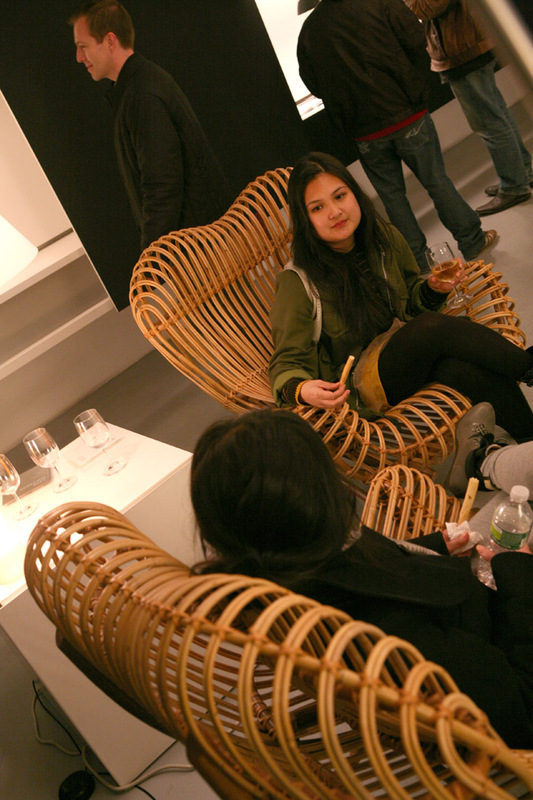 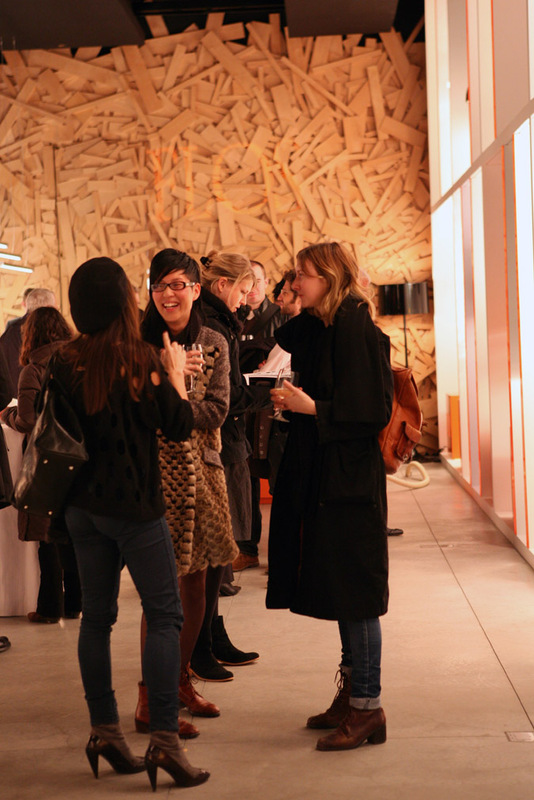 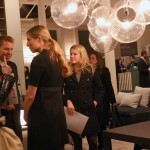 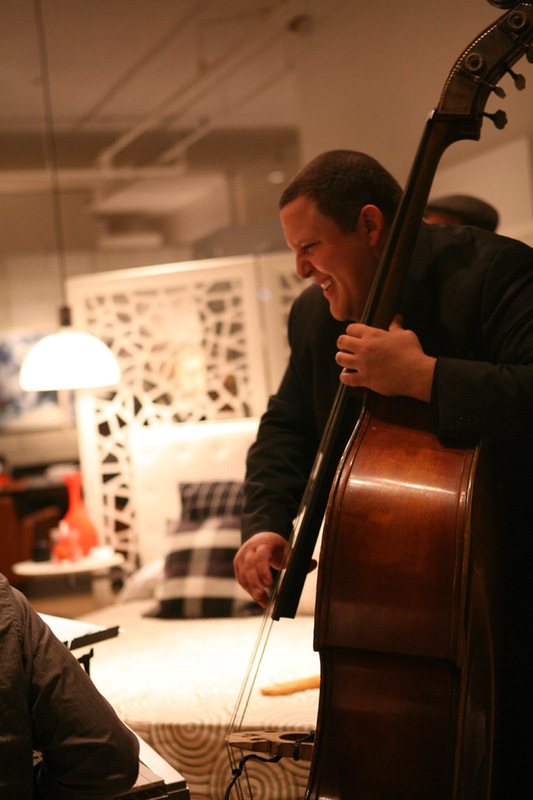 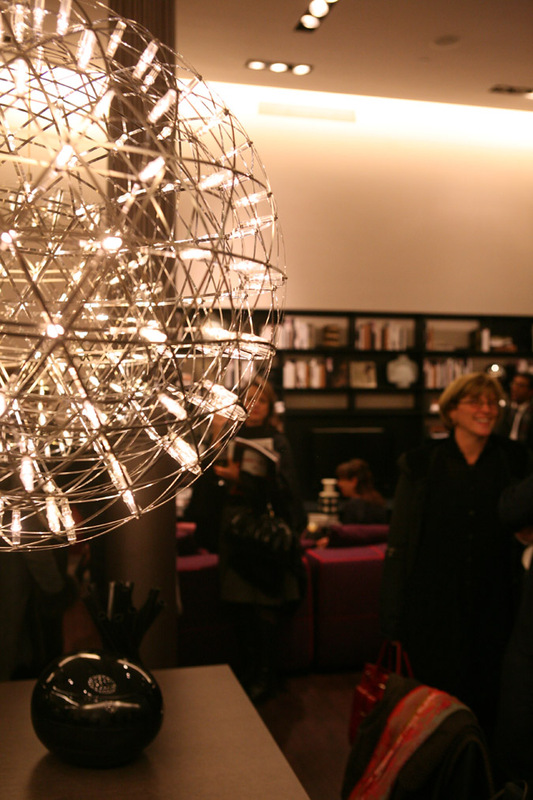 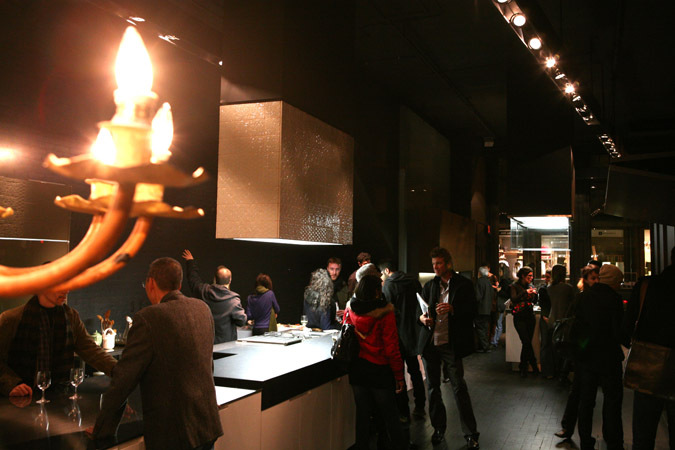 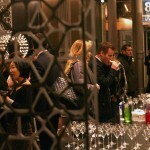 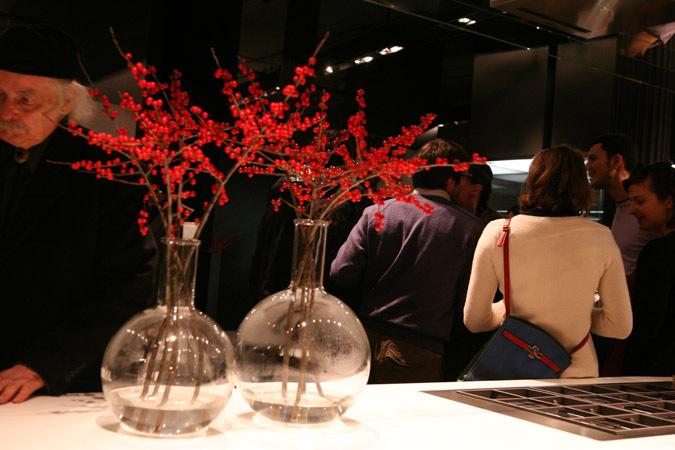 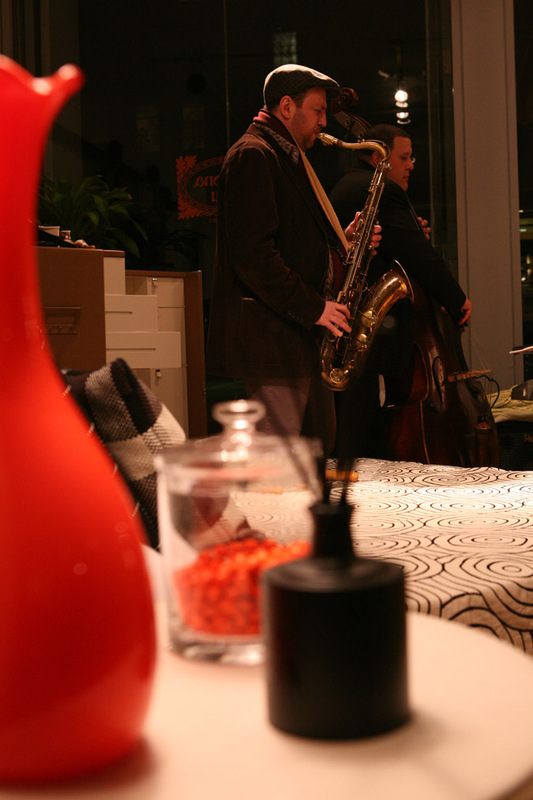 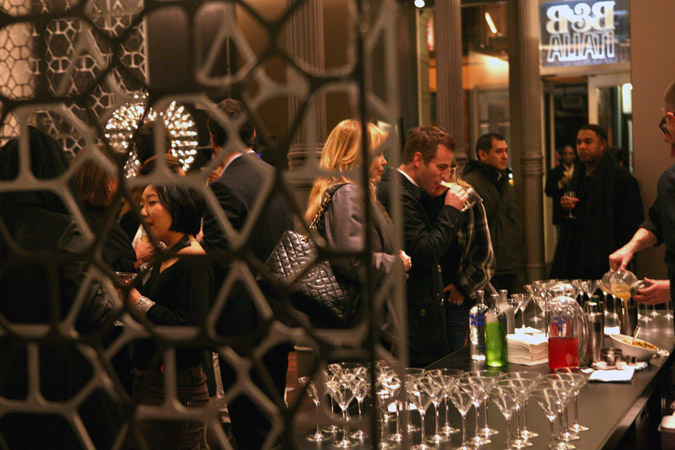 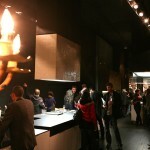 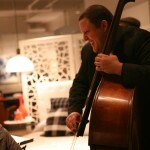 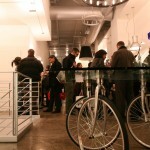 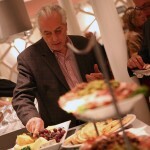 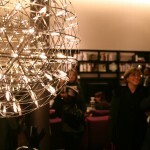 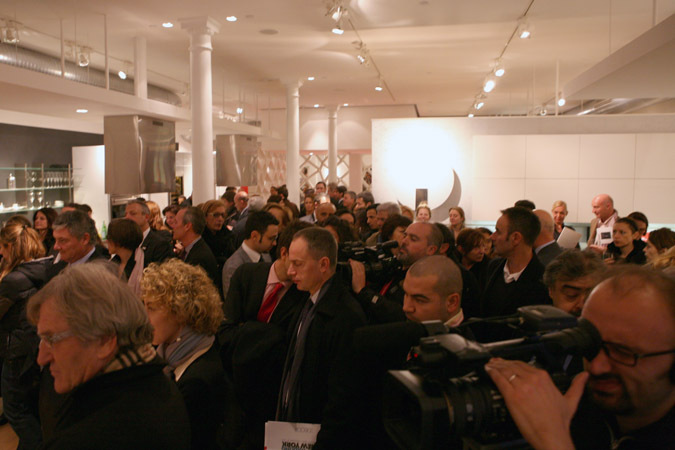 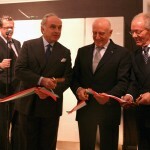 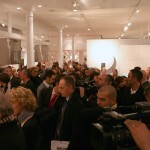 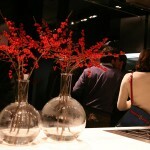 A weeklong celebration of Italian art and design kicked off last night at Scavolini, the haute kitchen emporium in Soho. 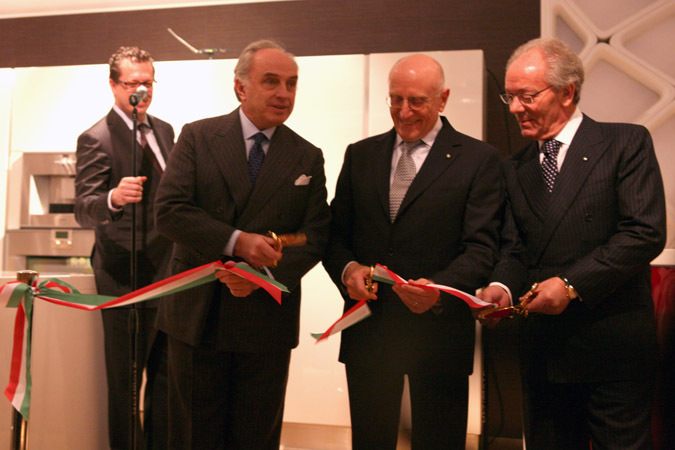 Italian officials, architects, designers, and a sprinkling of royalty in attendance gave the event a mixture of gravitas and glamour. 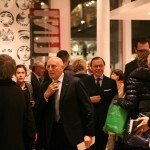 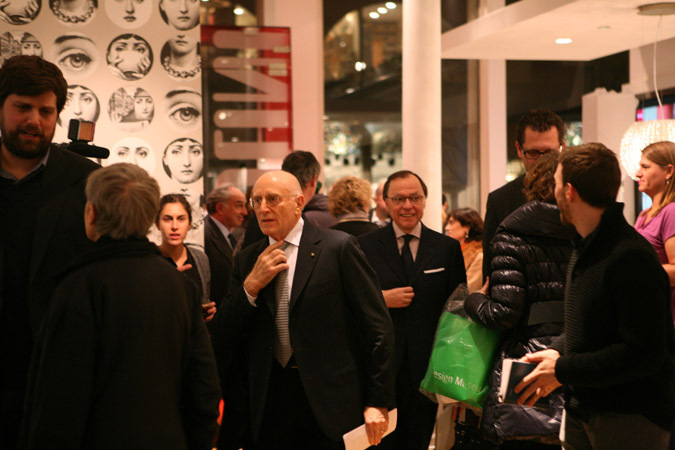 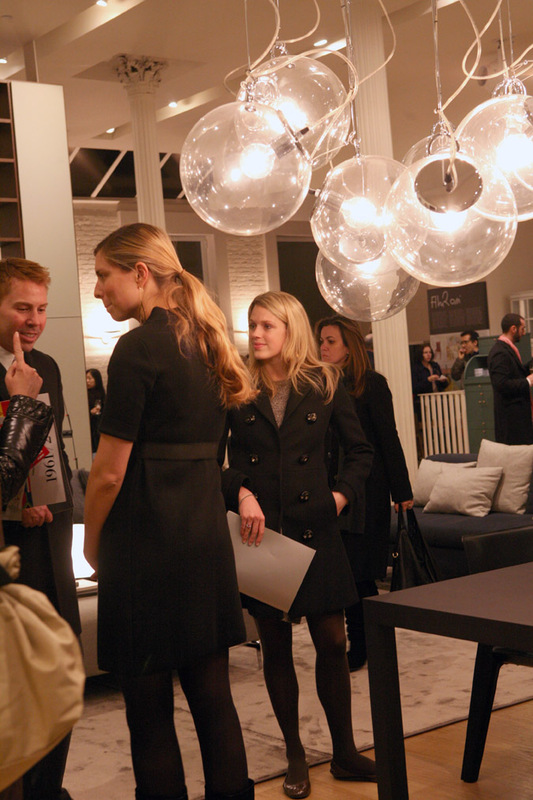 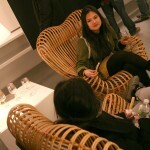 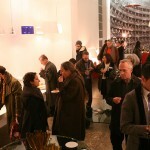 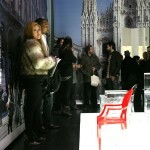 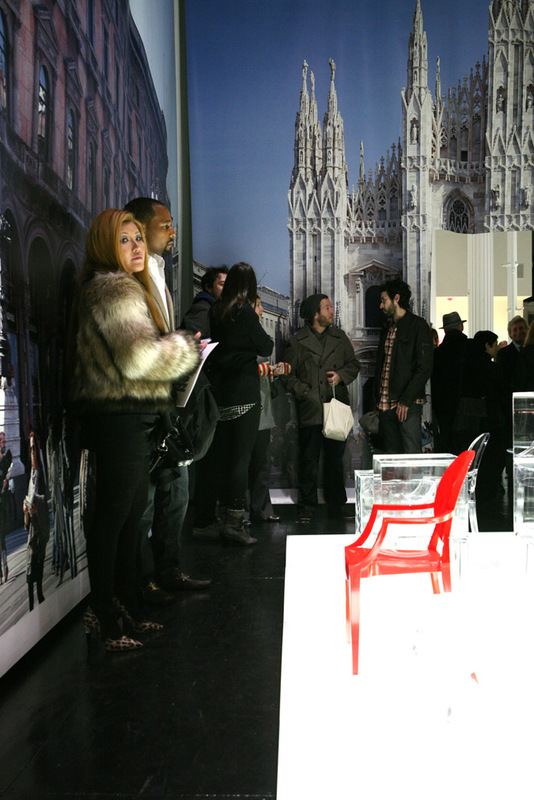 Titled “I Saloni Milano in New York,” the event will run through January 8. 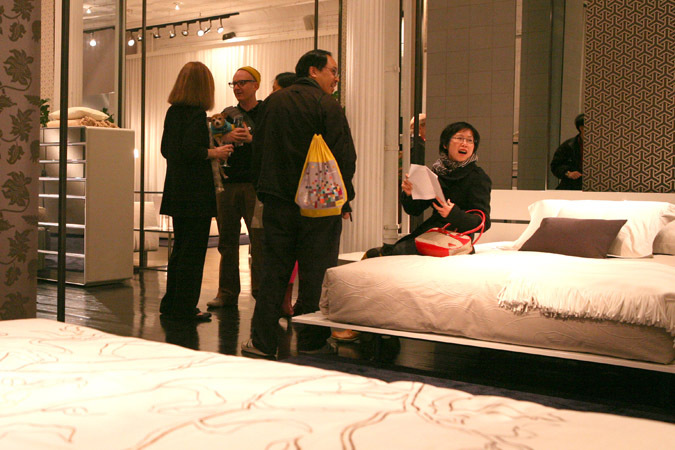 Several programs fill the calendar, including last night’s “Italian Design Street Walking”, which turned Soho and parts of the Upper East Side into a mini Milan for the night. 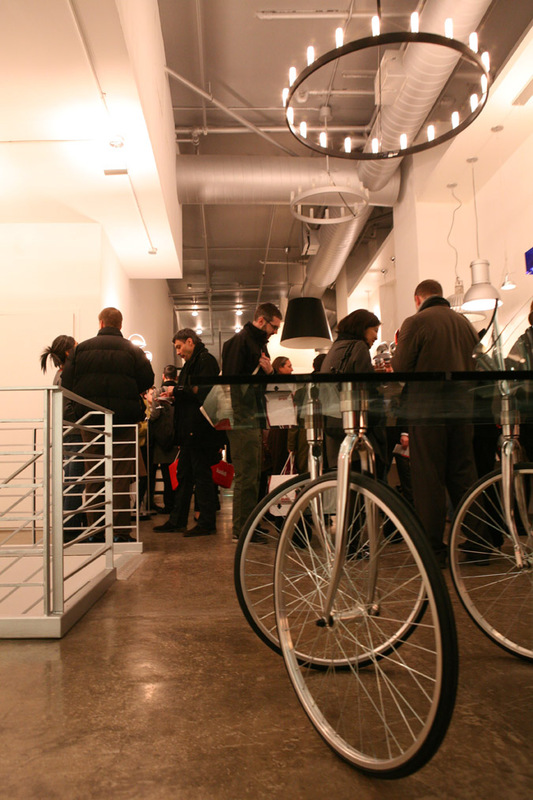 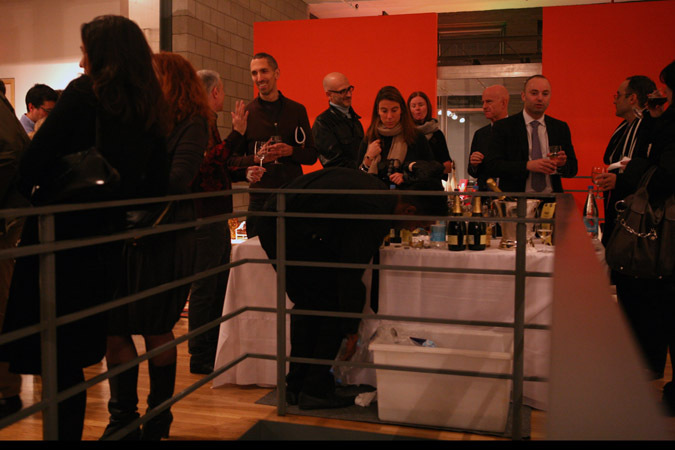 Italian heels navigated the cobblestones of Greene and Wooster Streets to view 20 open showrooms, with cocktails and Italian food provided by Eataly (a self-guided version of the showroom tour will also continue through January 8). 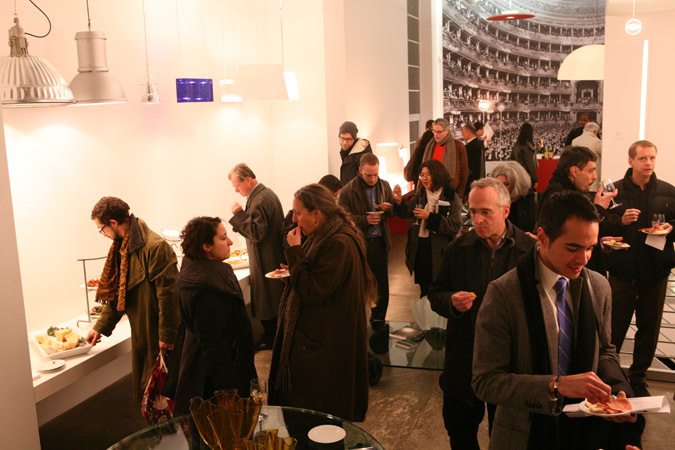 Starting today, a video installation by Robert Wilson in collaboration with Italian ballet dancer Roberto Bolle can be seen at Center 548, on view through December 18. 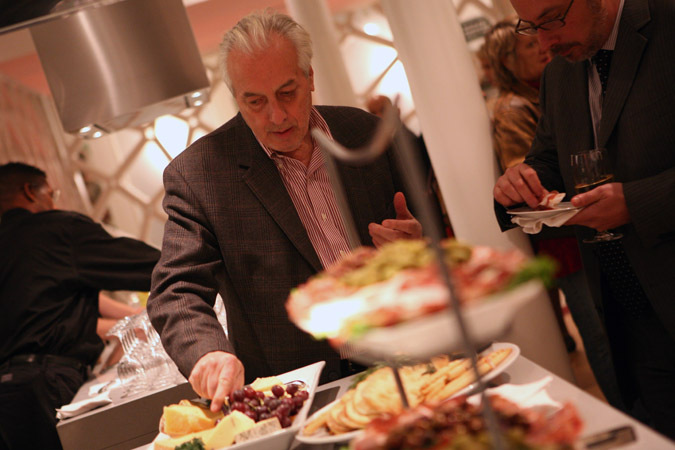 And on Friday, architect/filmmaker Peter Greenaway will launch the U.S. debut of his digital installation Leonardo’s Last Supper at the Park Avenue Armory, which will run from December 3 through January 6.